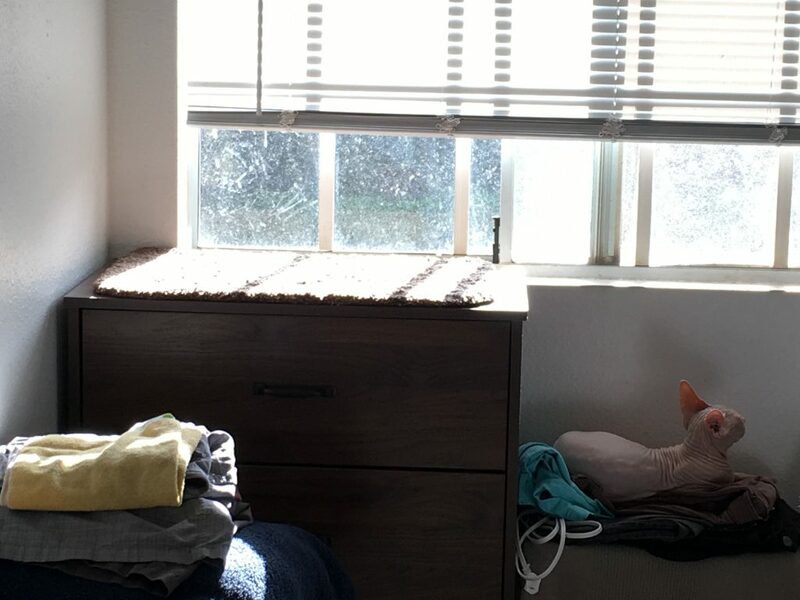 When I put my dresser by the window in my bedroom, Gus started climbing up onto it and lounging in the sun. He also can look out the window and watch the world go by. I’m happy he has a place. This time of year, the sun is hot. Sometimes it’s too much for Gus. When that happens, he steps down from the dresser and gets on the box next to it. It’s still near the sun, but not in the direct sunlight. It’s kind of funny looking though. That cat’s got a sweet setup. Lounging options galore!